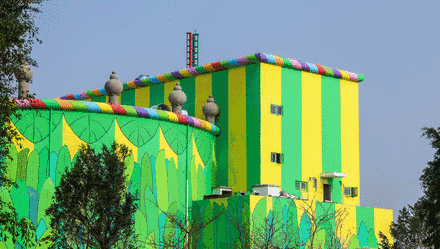 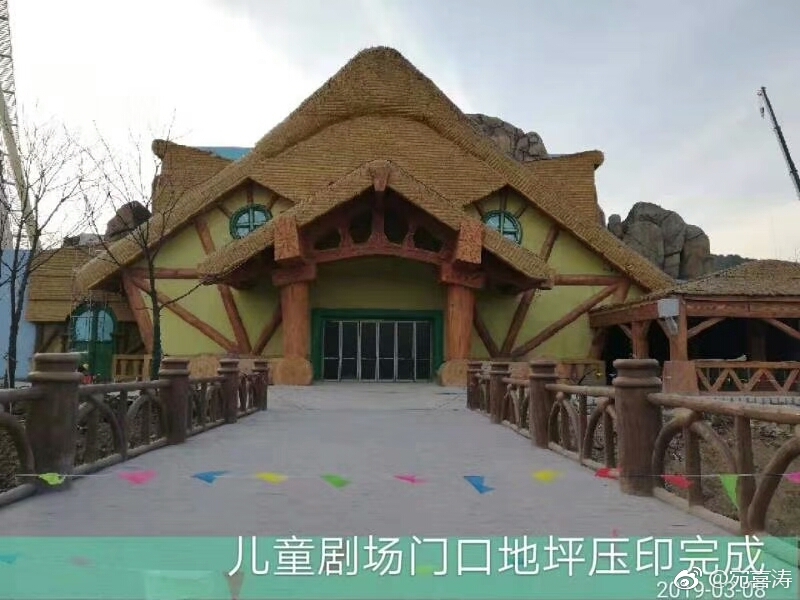 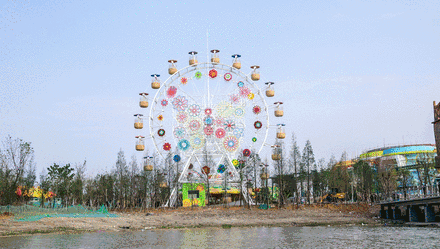 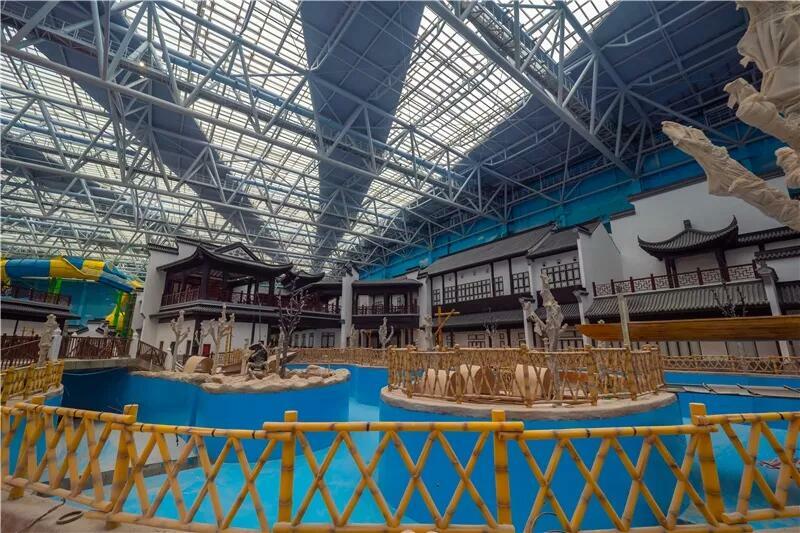 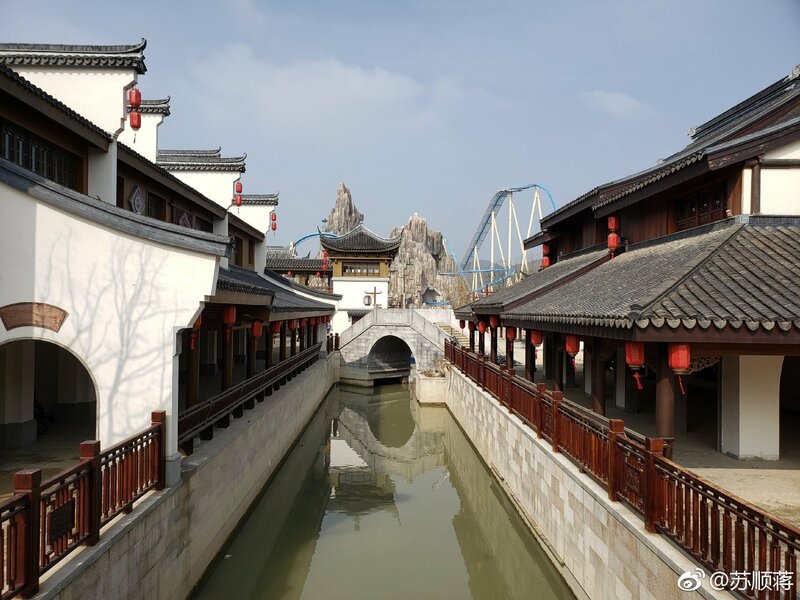 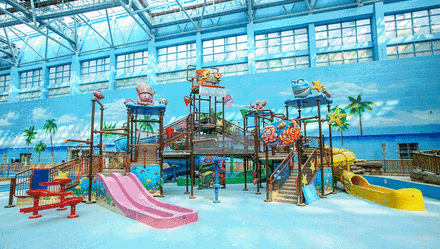 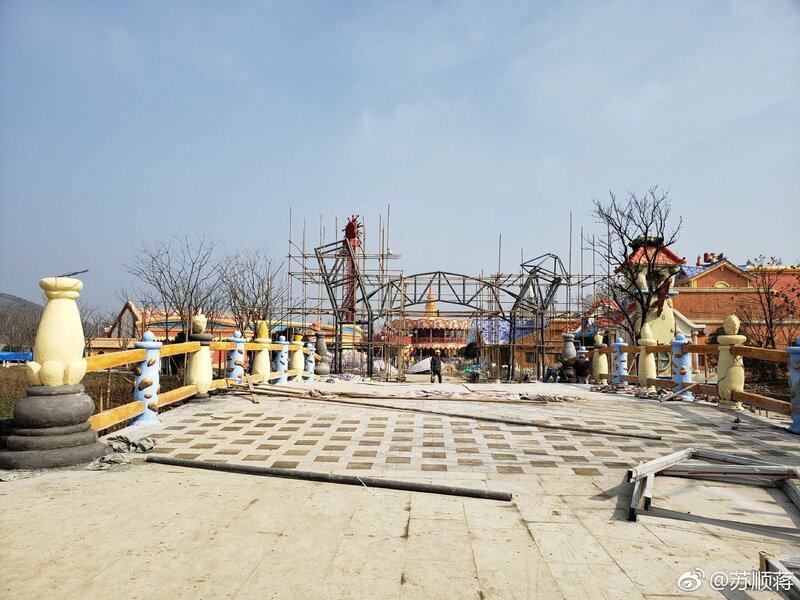 Great new photos of Wuxi Sunac Wanda Cultural Tourism City's outdoor theme park which is opening this June! 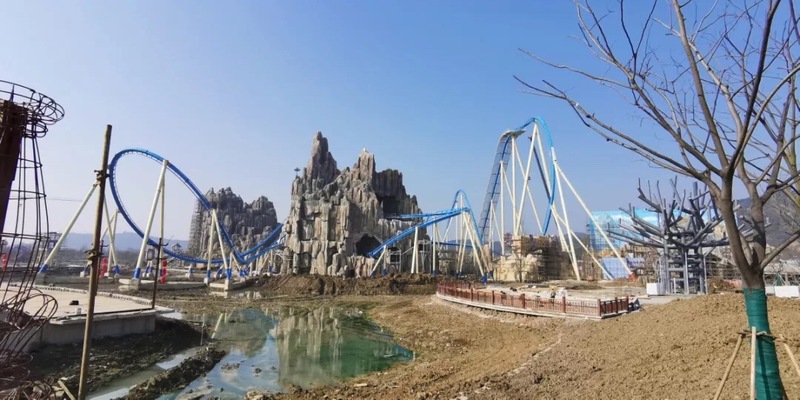 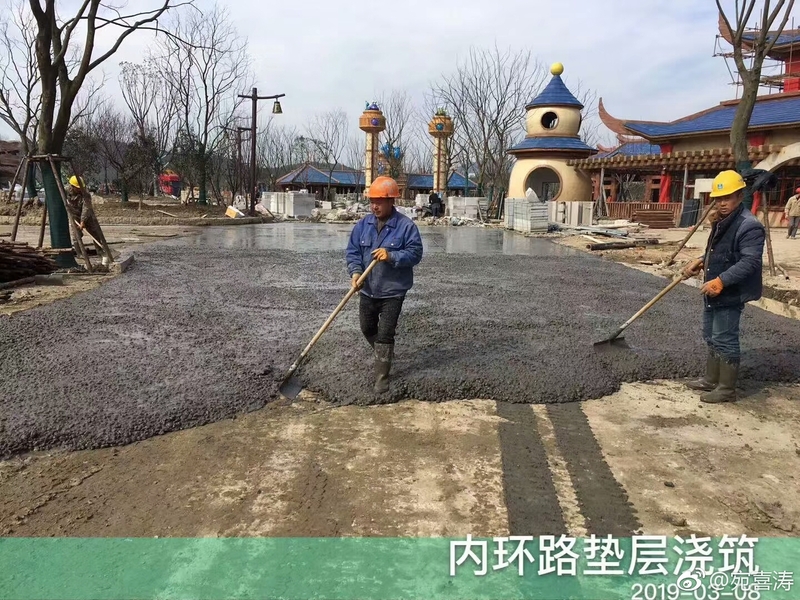 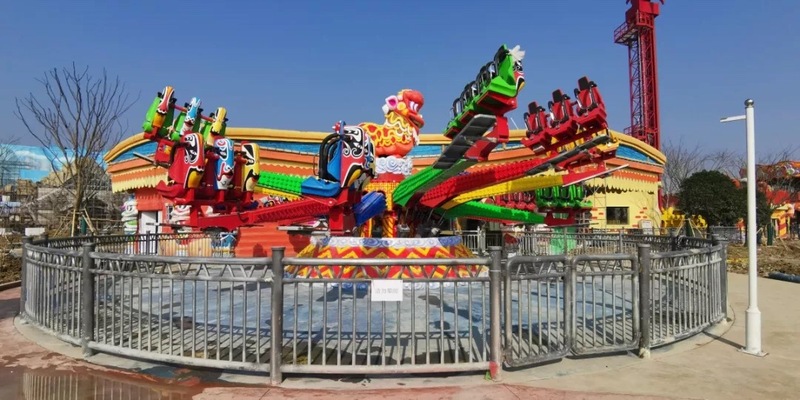 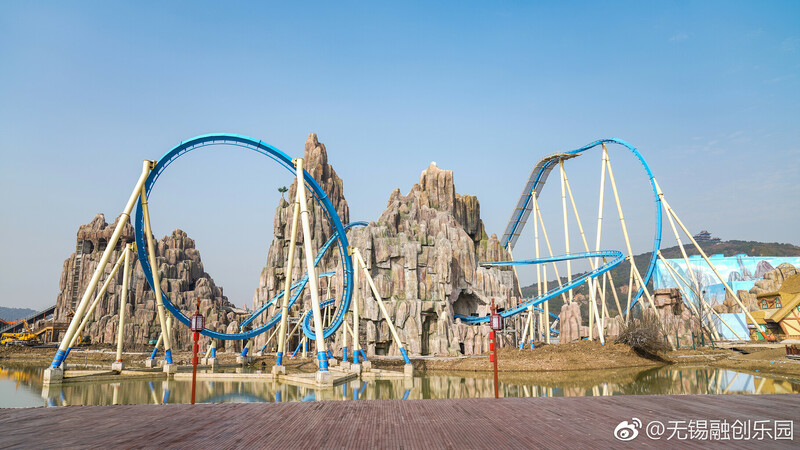 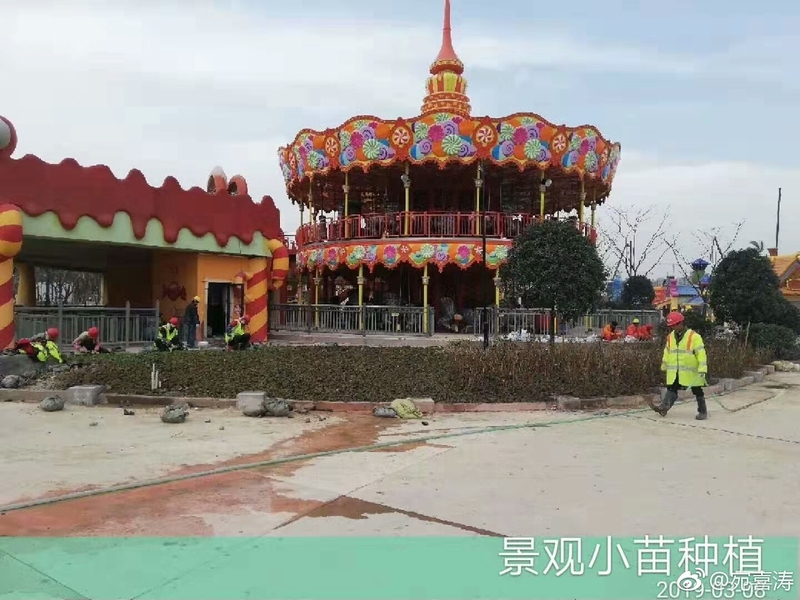 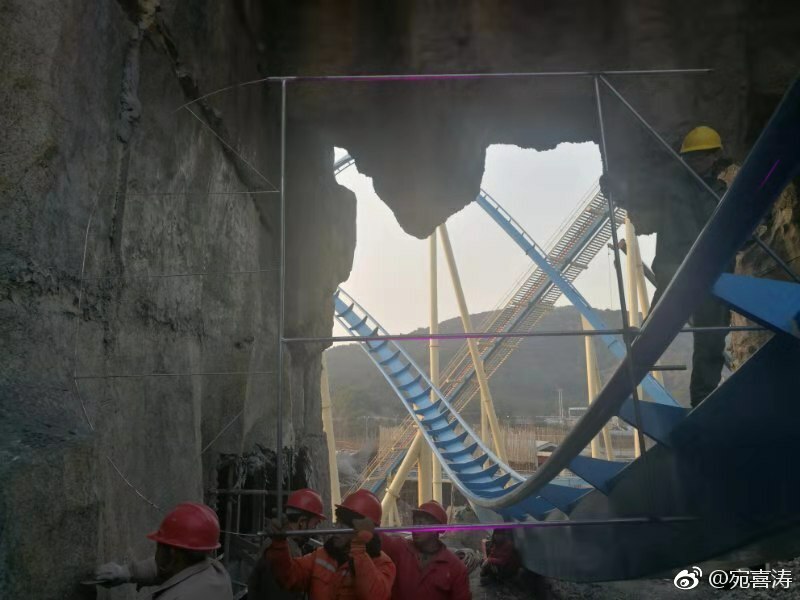 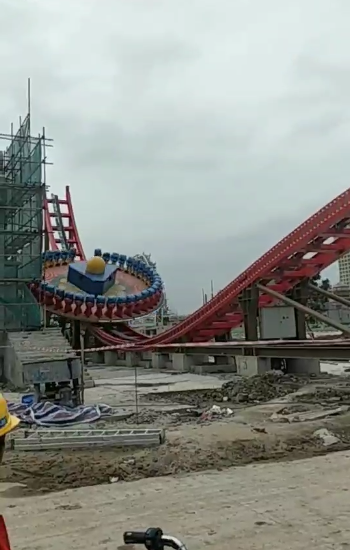 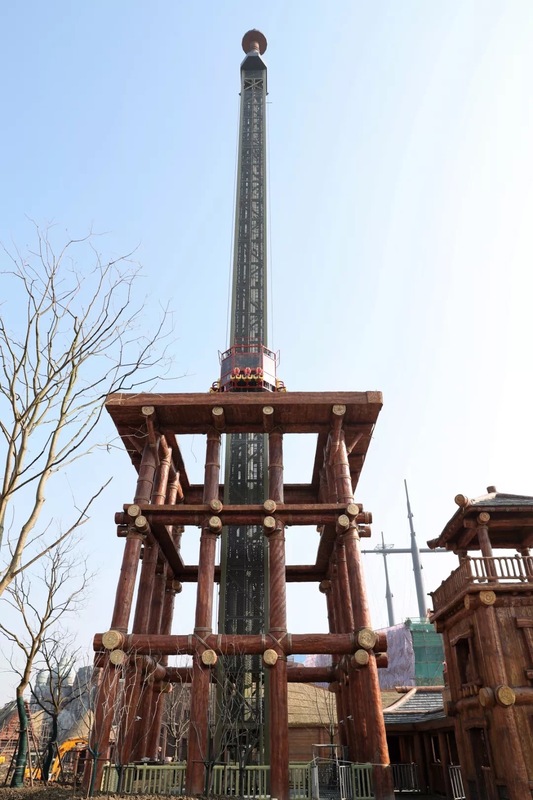 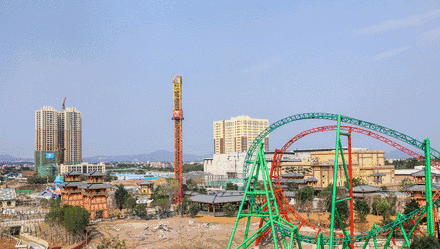 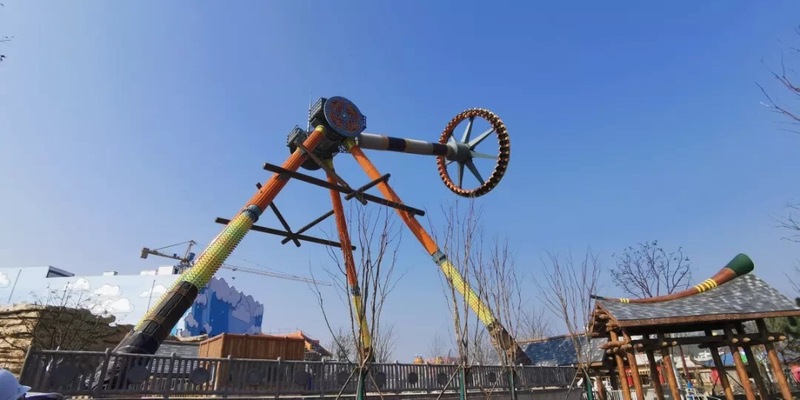 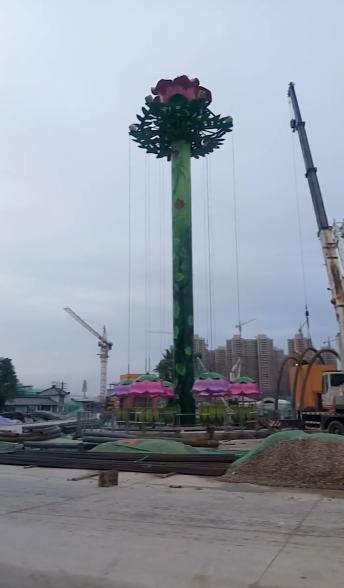 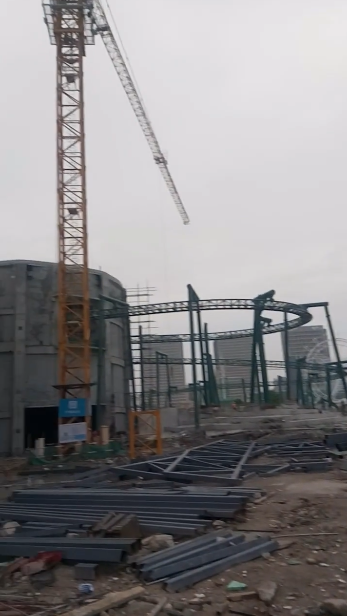 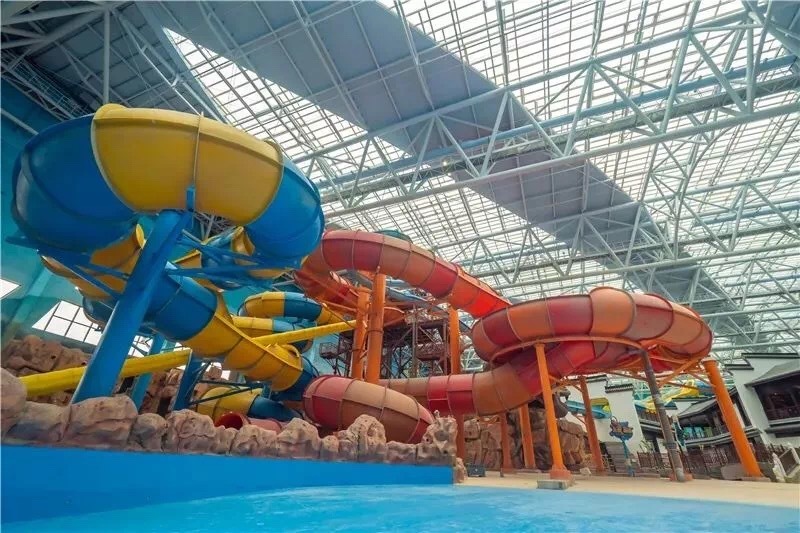 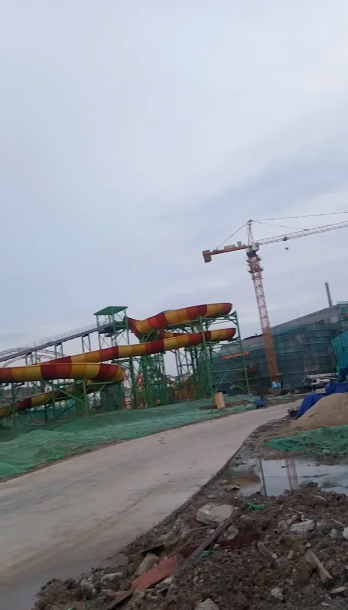 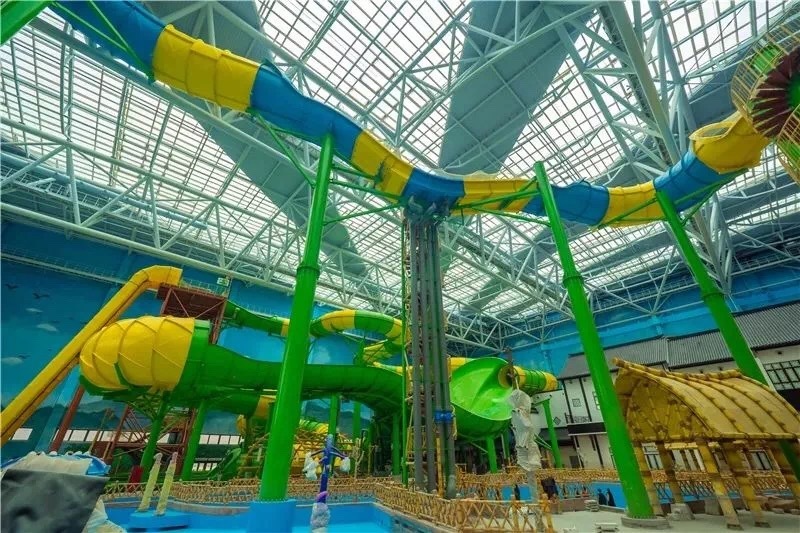 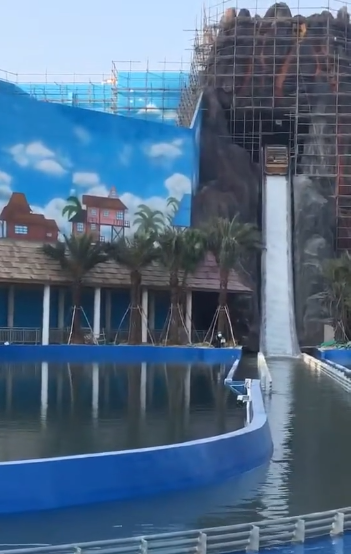 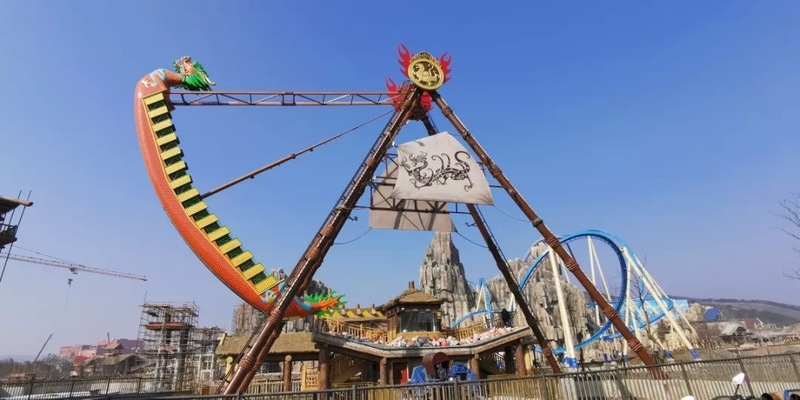 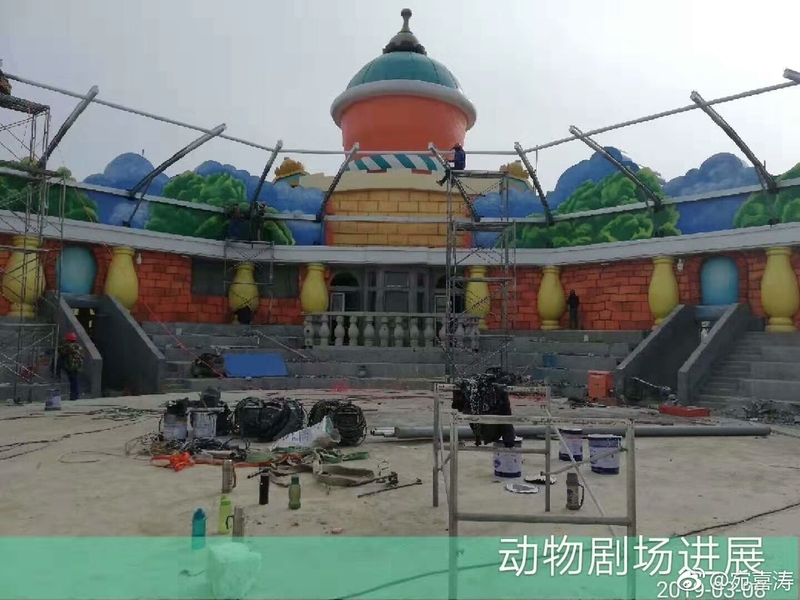 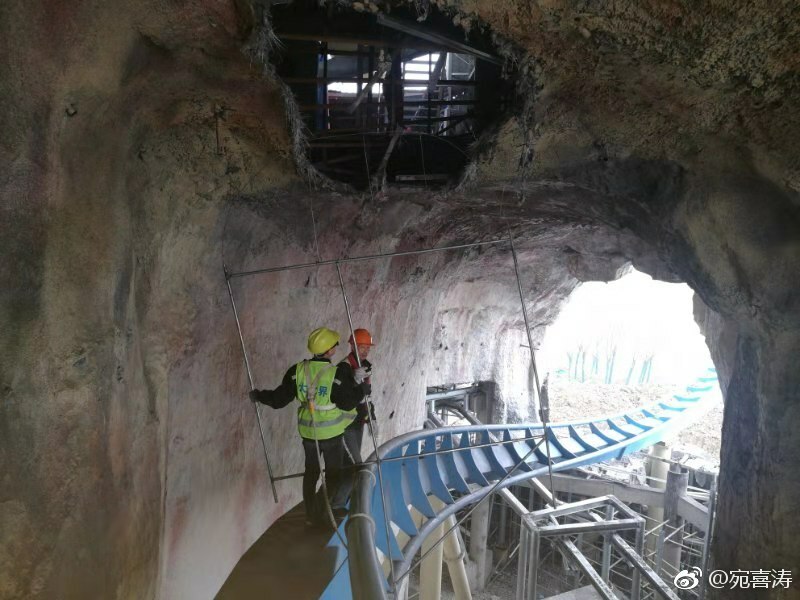 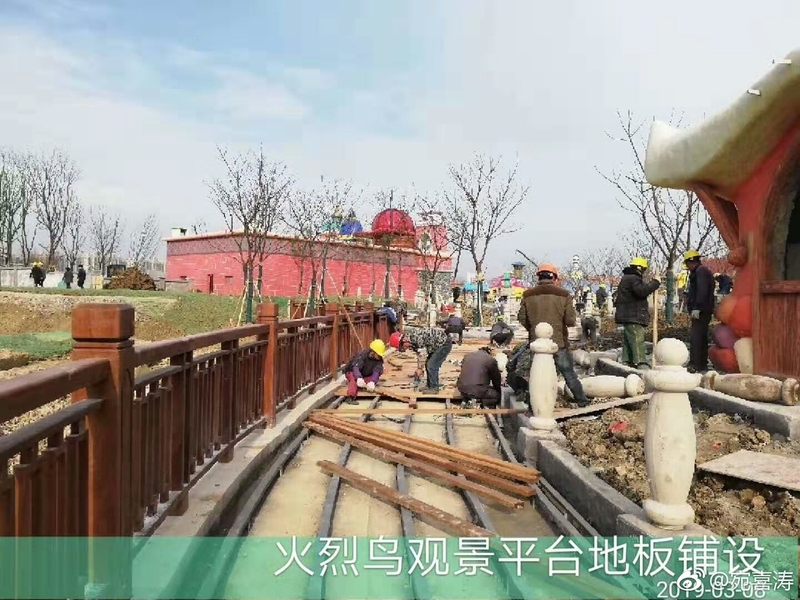 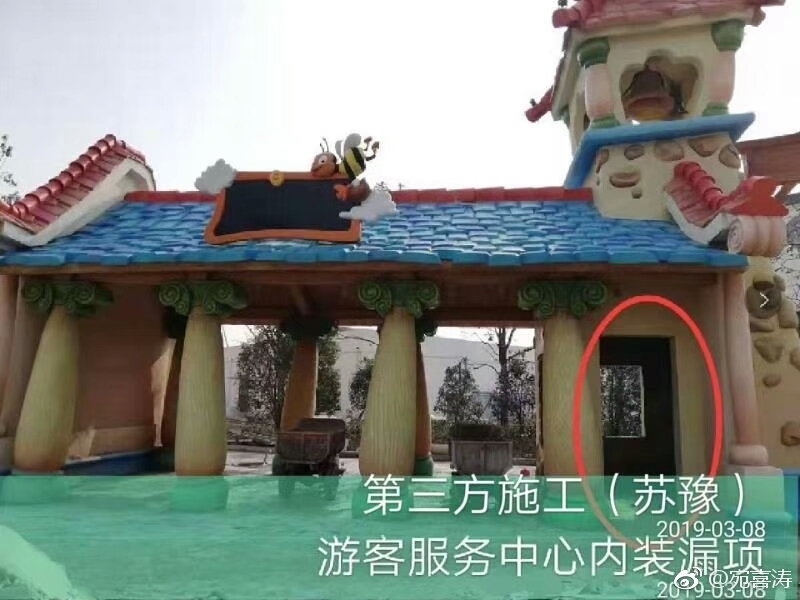 One of this year's top new roller coasters is almost ready for its debut this summer at Wuxi Sunac Wanda Cultural Tourism City! 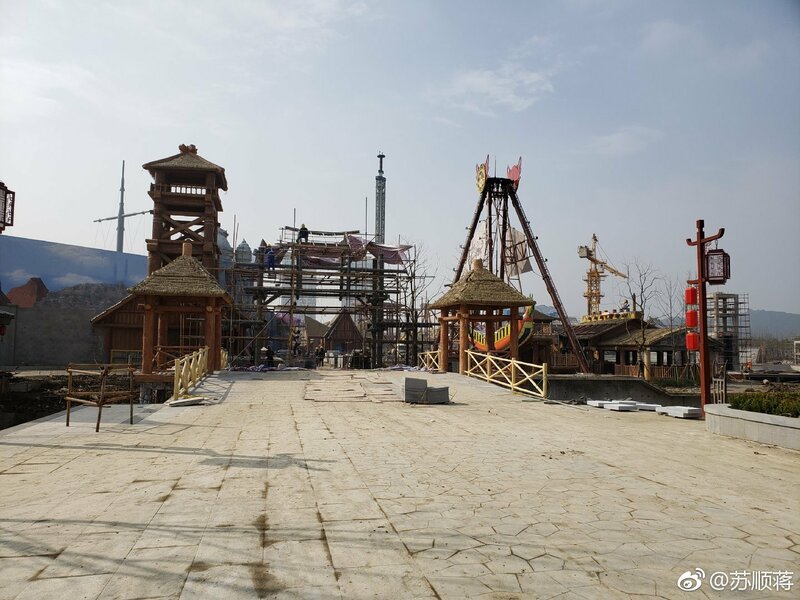 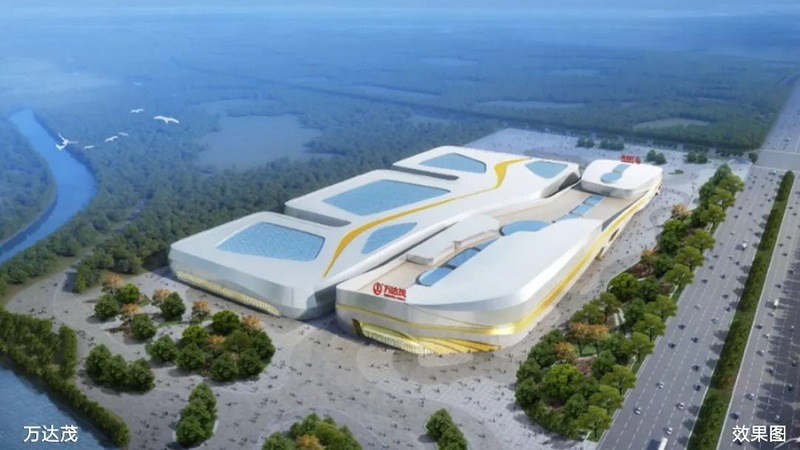 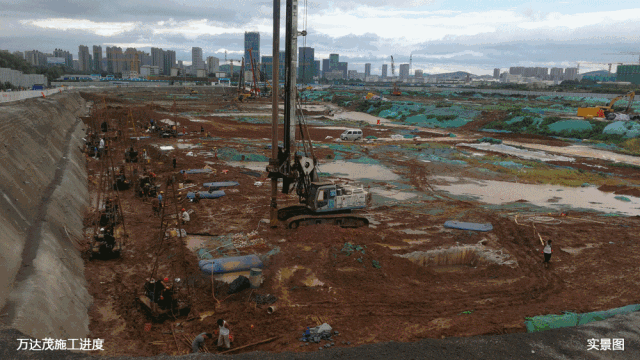 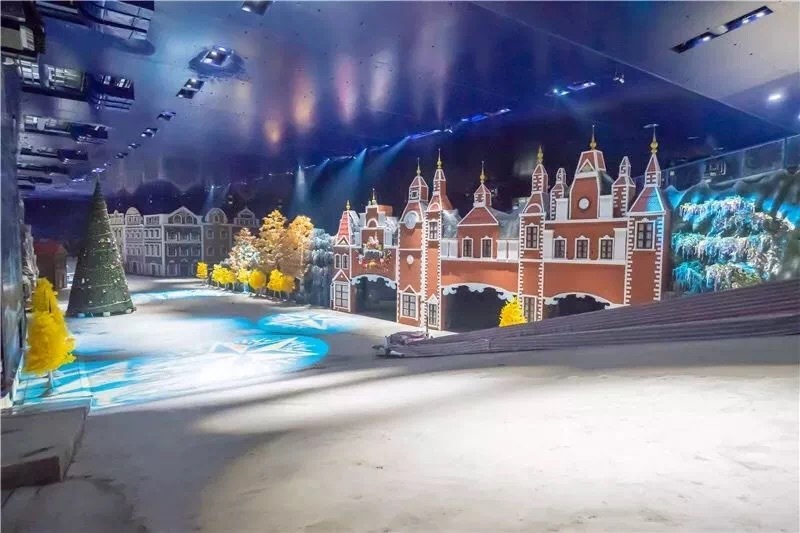 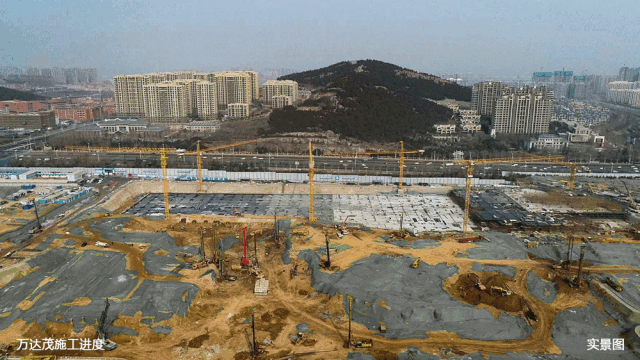 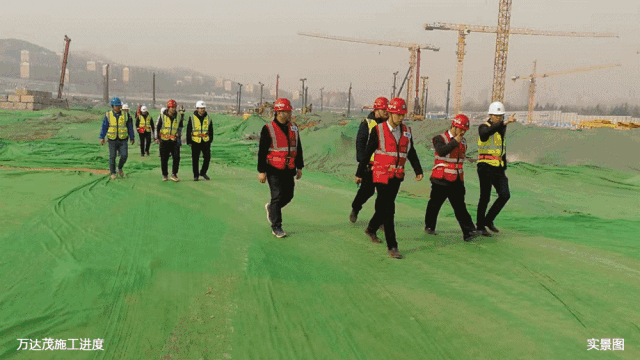 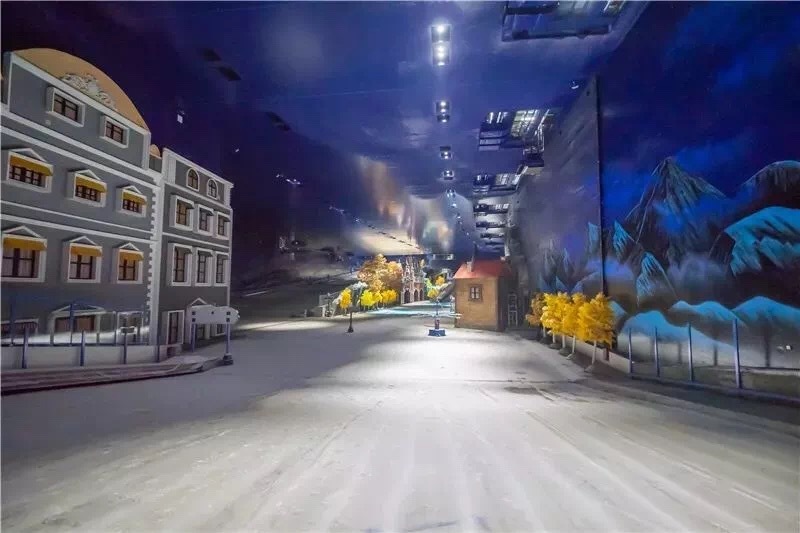 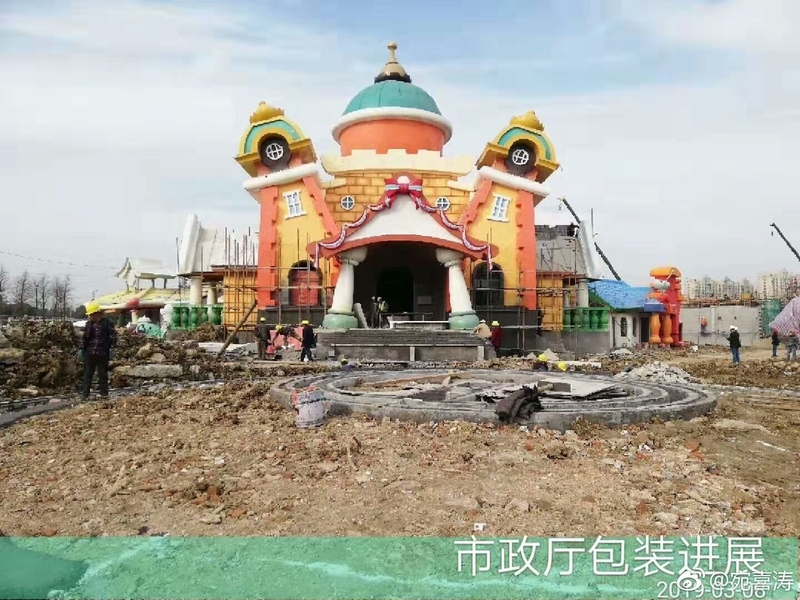 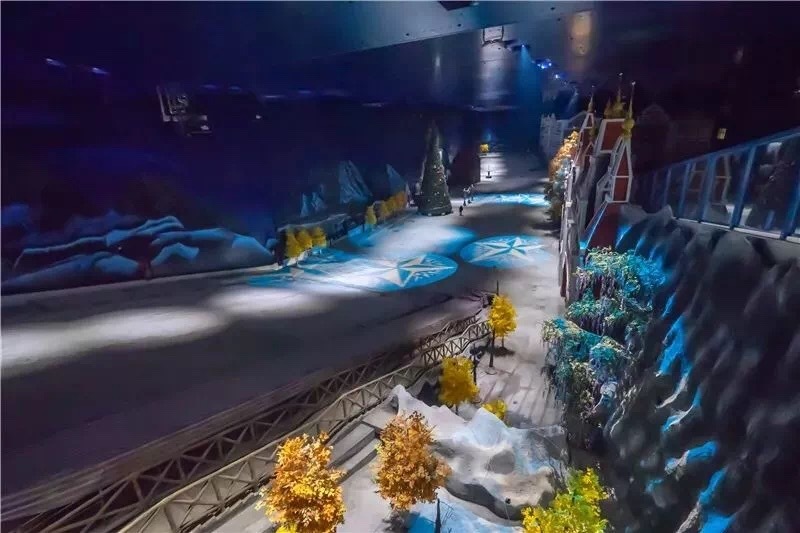 Construction has begun on Wanda Jinan Cultural Tourism City's Wanda Mall which will include an indoor ocean park, waterpark and snow park. 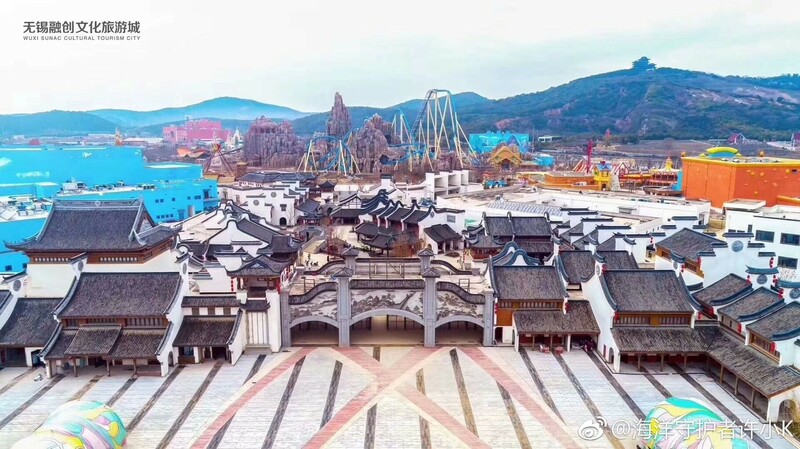 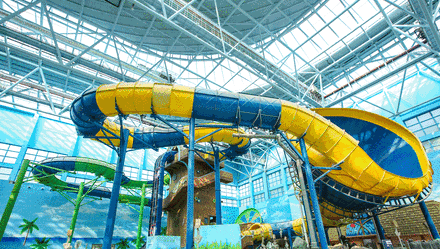 Both the mall and outdoor theme park will open in 2021. 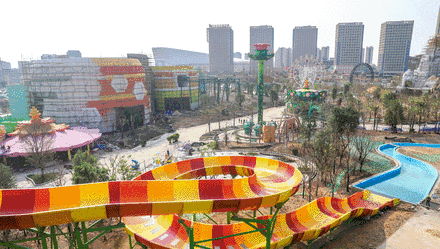 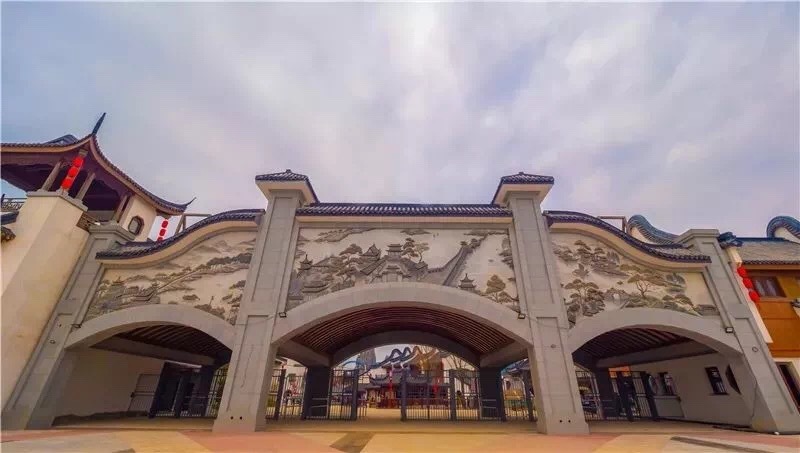 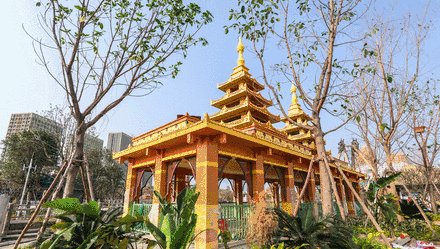 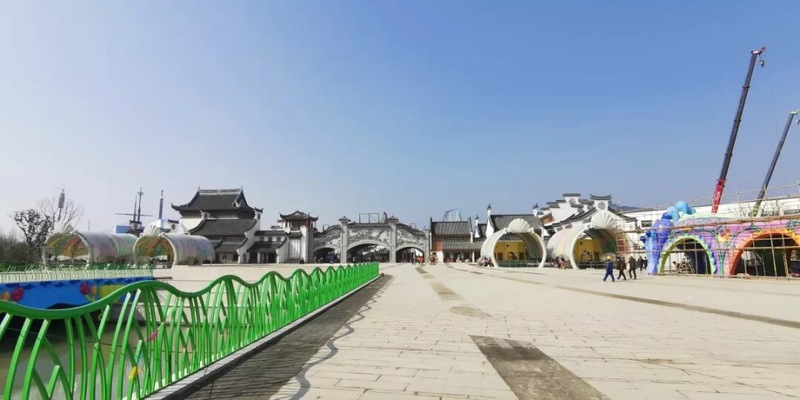 The second Wanda Park will open in 2019 in Wuxi, an old industrial city in Jiangsu Province. 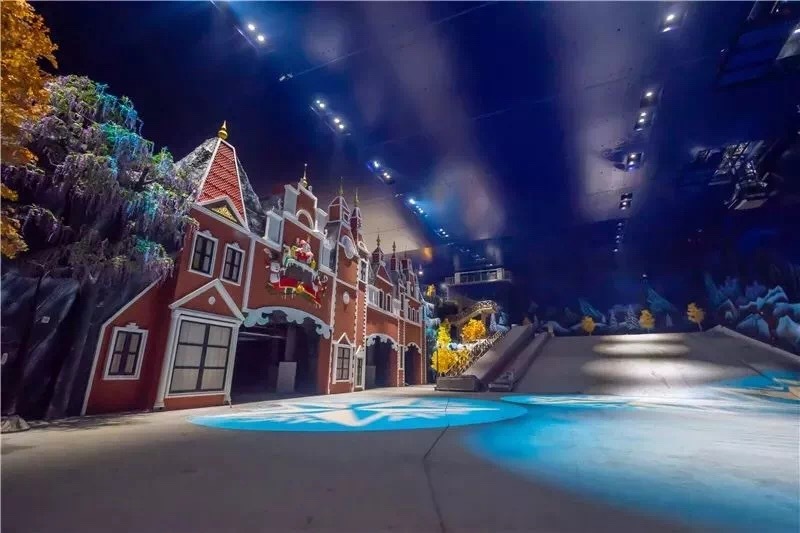 Thanks to its recent development, Wuxi, which now has more than 6 million inhabitants, is sometimes called "the little Shanghai". 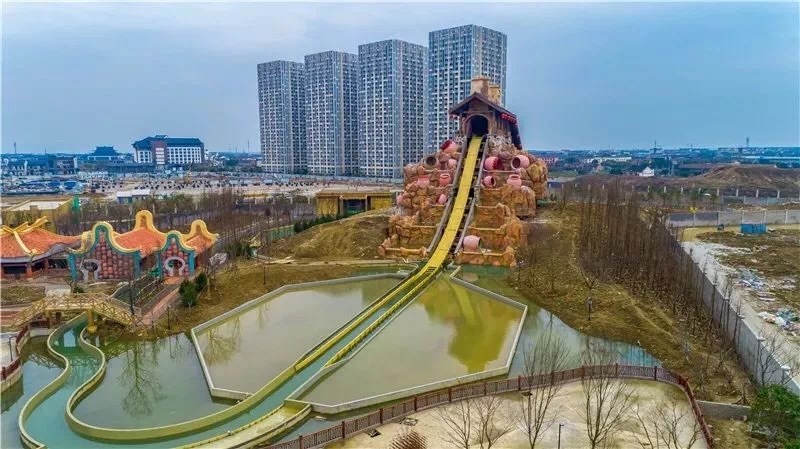 The complex Wanda City of Wuxi should be modeled on its big brother Nanchang, with shopping center, amusement park and water.